We are discontinuing our FoamWerks line. They are now 50% off the retail price while supplies last. 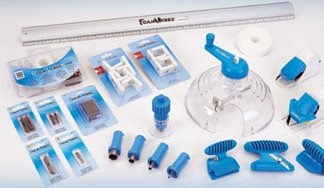 These tools were designed to cut foamboard in unique ways for framing, architectural and room models, school projects, and various craft projects. The tools are able to cut straight edges, bevels, v-grooves, small holes, and rabbet edges.